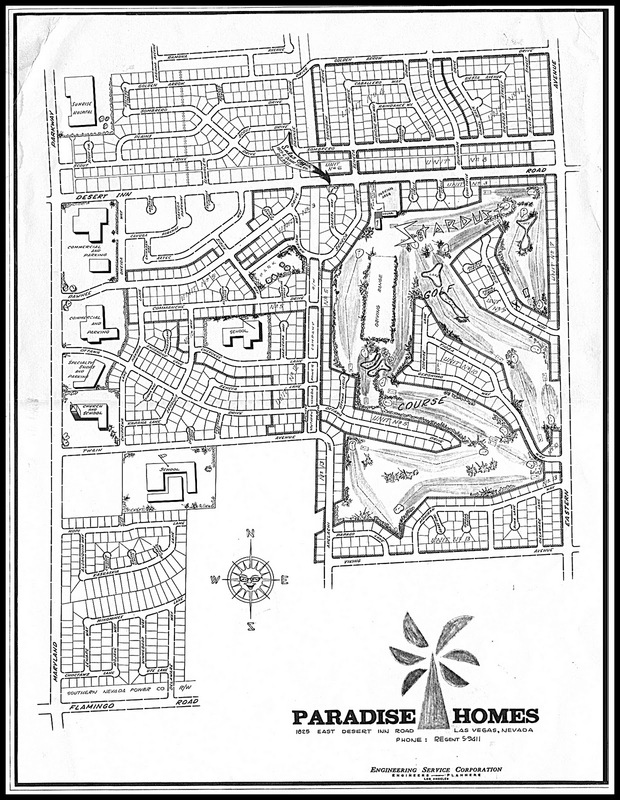 The Geneva is the third of four featured Tropical Estates Models in Paradise Palms. 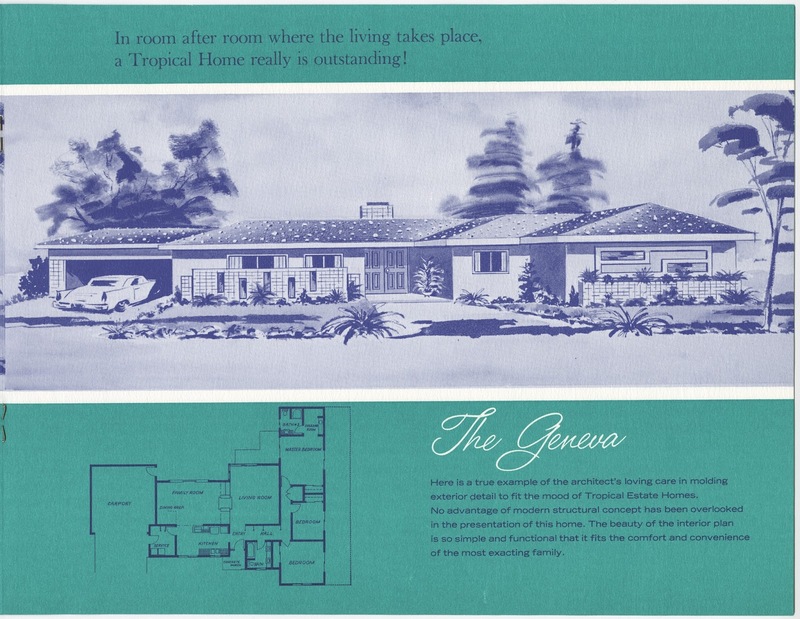 Noted as "a true example of the architect's loving care in molding the exterior detail to fit the mood of Tropical Estate Homes," the "beauty of the interior plan is so simple and functional that if fits the comfort and convenience of the most exacting family." 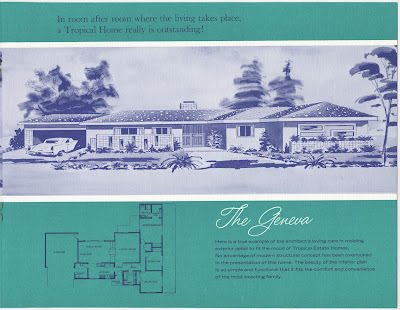 Two defining features of this model were the separate dressing area with sink in the master bedroom and uniquely midcentury square bath tub in the master bathroom. Also interesting to note is that the floor plan depicts a single-entry front door, while the elevation drawing depicts a double door. The built versions that we've seen have a single-entry door.